Stop taking advice from your friends about supplements and ask a medical professional instead - Start taking the right vitamins. While figuring out what to take can seem overwhelming, as a physician of internal medicine and vitamin expert, I would suggest that there are some easy solutions out there. We are not all the same and should not take the same things. So stop listening to your friends and neighbors about what they take. Instead, look to legitimate medical sources to help guide you. It turns out that a personalized approach is the best way to get exactly the nutrients you need. 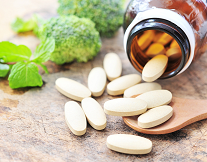 Taking a personalized multivitamin that is based on your diet, your lifestyle, and your health concerns can make you feel better, more energetic, and address preventive health issues.